From Culture Fly. 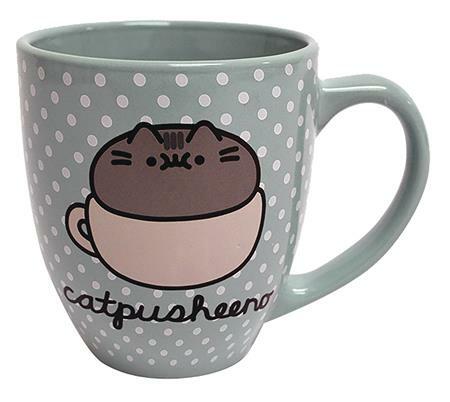 Adorable Pusheen pretends to be the foam in this cat-pusheeno on this supercute ceramic 18 oz mug. Mint with polka dots. Perfect for morning coffee, afternoon tea, evening hot cocoa, soup - perfect for everything! Officially licensed Pusheen merchandise. Microwave and dishwasher safe.